All major museums have auditoriums with near-perfect acoustics where concerts can be programmed that could be easily included at any music festival. It is clear to see, looking at the agendas of Pompidou and Guggenheim, that they have given into the demand for music. It is not hard to find exhibitions related to music. For example, Vermeer and Music: The Art of Love & Leisure at the National Gallery in 2013 which looks at musical instruments. Also Museo del Prado initiative’s Music in your eyes, which encourages people aged between 13-17 to create a piece of electronic music looking at an artwork from the permanent collection, thus using music as a powerful tool to connect the Old Masters with new audiences. Another example is the collaboration between the Rijksmuseum and the Van Gogh Museum which launched the Museumplein ticket in 2014, giving away tickets to concerts at the Royal Concertgebouw. Yet, despite a clear inetntion to blur the boundaries between disciplines, blockbuster exhibitions focused on painting and sculpture are still grabbing the headlines. However, neither has music been treated as entirely secondary: this year MoMA PS1 celebrates the 20th anniversary of its revolutionary Warm Up outdoor music series. Similarly, Tate Modern has launched the Uniqlo Tate Lates, an opportunity to see the collection and the latest exhibitions with interactive events in which music plays a major role. Undoubtedly, the institutions who are leading the way in redefining this change of pattern have been the V&A and MoMA/MoMA PS1, who have curated retrospectives about musicians (David Bowie, Björk, Pink Floyd) and Opera (Passion, Power and Politics). The serious growing concern of attracting younger audiences has served to convey the necessity of rewriting narratives with the use of new technologies. Placing music in a visual environment helps to reimagine cultural limitations. Are museums prepared for this? 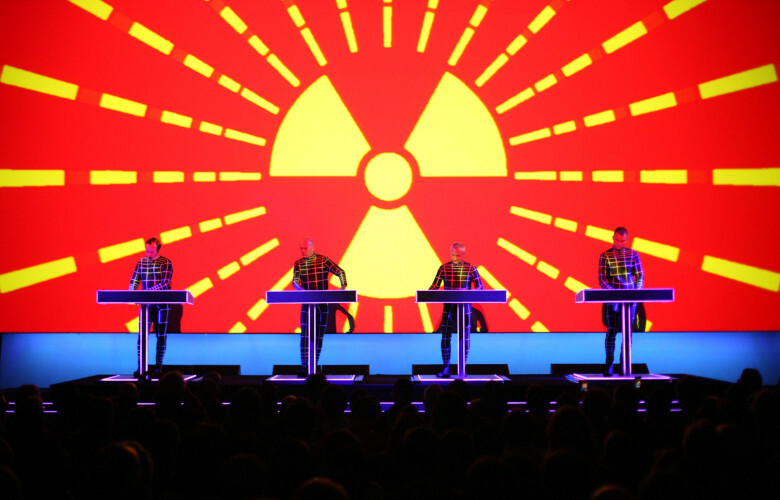 Kraftwerk’s launch at the sacred coeur of the Fine Arts space, gave us a glimpse of what the future will look like with the arrival of virtual reality. And, perhaps, it is something that we can try to embrace ‘even if we’re just dancing in the dark’.